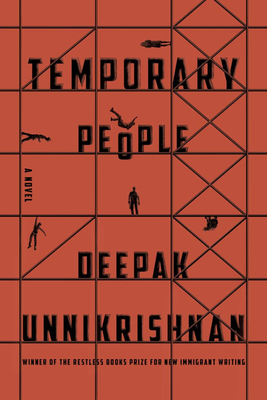 Temporary People is a tour de force of language and allegory. This collection of stories about euphemistically named “guest workers” in the United Arab Emirates shines a light on a largely invisible group. Foreign workers in the Gulf comprise over 80% of the population, yet have no rights as citizens. They toil in harsh conditions for decades at which point they are “retired” and immediately deported to a home country they may barely remember. Unnikrishnan himself is the child of Indian workers in the Gulf and writes from an understanding born of experience. His characters persevere in these surreal, heartbreaking, and sometimes humorous stories with anonymity and an understanding of their disposability. Temporary People is the inaugural winner of the Restless Books Prize for New Immigrant Writing, founded to “discover urgent, culture-straddling writing from first-time, first-generation writers”. In Unnikrishnan they have found an exhilarating new voice.